The industry is losing around $400 billion a year in cyber attacks. 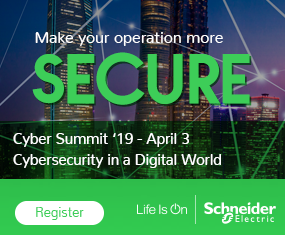 The idea security is top of mind for Adamczyk truly underscores the dire need for the industry to come to grips with the idea that manufacturing automation users are, for the most part, not prepared when it comes to the potential of facing and fending off a cyber attack. “I just hope it doesn’t take a crisis for us to start spending (on security solutions),” Adamczyk said. Safety was also a key element to Adamczyk’s keynote as he said Honeywell was well below the average of safety incidents in the United States, but he feared the U.S. average was going to rise in the wake of safety incidents like the explosion at the fertilizer plant in West, Texas. While safety and security were important elements to Adamczyk’s talk, he also mentioned other key trends HPS is focusing on like energy, improving relationships with end users, and reiterating Honeywell is more of a full service integrator compared to a hardware provider. When it comes to producing more energy, Adamczyk said the U.S. is still and importer, but that trend is changing. Another area the industry is keeping a keen eye on is the aging workforce and the potential for Baby Boomers getting ready to retire and take all the knowledge out the door with them. “By 2020 workers aged 55 and older will be almost 25 percent of the workforce,” he said. That also shows great potential for automation to come in and help alleviate some of the worker crunch. Adamczyk also spent some time talking about the real key in the industry is about making – and keeping – relationships.